A leading company in personal genetics, 23andMe’s mission is to help people access, understand, and benefit from the human genome. As the company became more recognized around the world, questions arose about how they could extend their brand to reflect their diverse reach—spanning scientists and research facilities, as well as families at home. One of 23andMe’s biggest challenges was to represent themselves in a distinguishable and consistent fashion across all platforms, and to all users. In 2015, 23andMe asked us to help create a coherent and emotionally engaging brand experience that would connect people in a personal and human way. 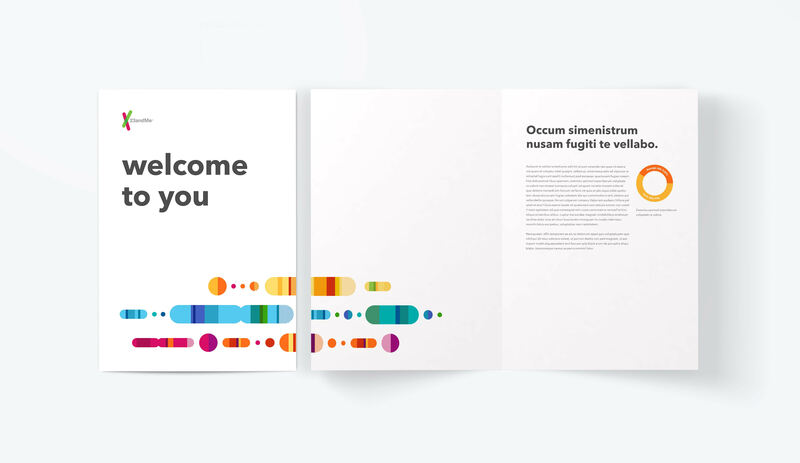 Strengthen 23andMe’s visual brand identity and create a clear design language that connects a diverse range of people with their own genetic information. A brand experience that is reliable and distinguished, yet approachable and personal—which led to a 33% increase in new consumers and passing an important FDA review within a year of rebranding. Would you like to talk with us about this project? 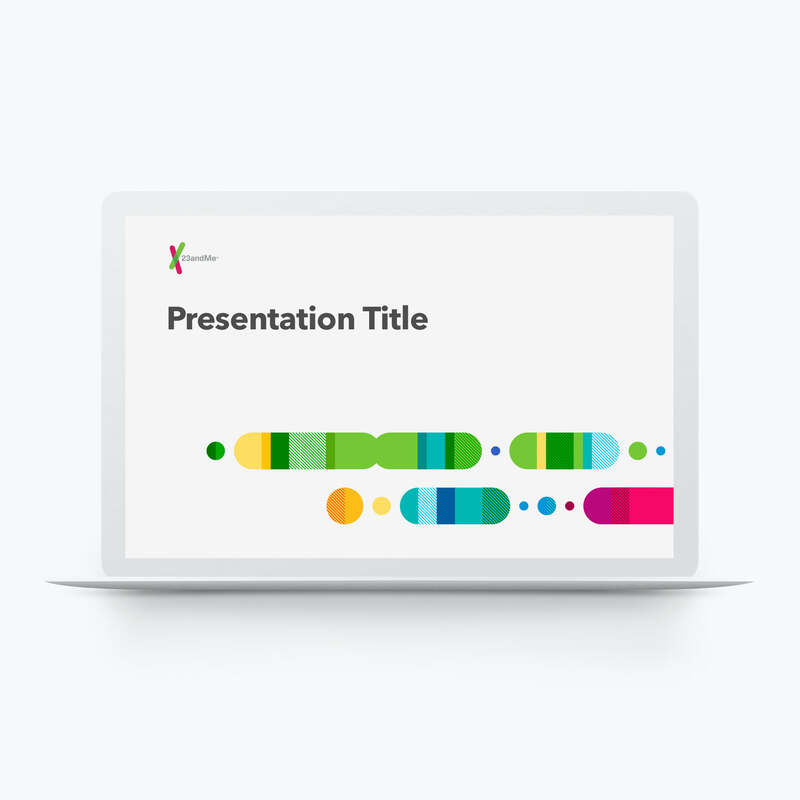 The inspiration behind 23andMe’s name and core theme guided us in our design exploration: the 23 pairs of chromosomes that comprise an individual’s genetic makeup, and which make each one of us unique. 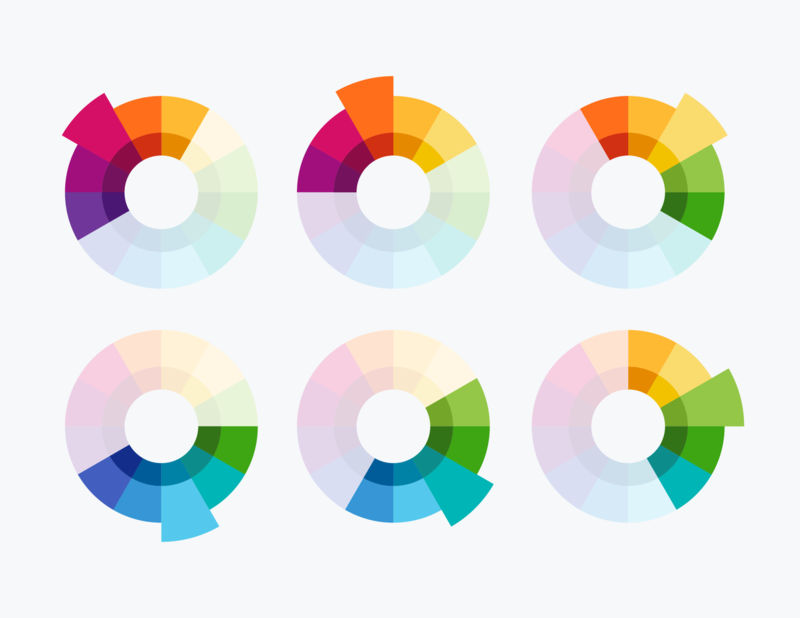 Keeping the 23 pairs of chromosomes in mind, we created a visual design framework and an extensive style guide that included detailed iconography, color palettes, illustrations, and photo usage examples. Embrace white space for simple, clear communication. Utilize bright and playful colors for a friendly and human feel. 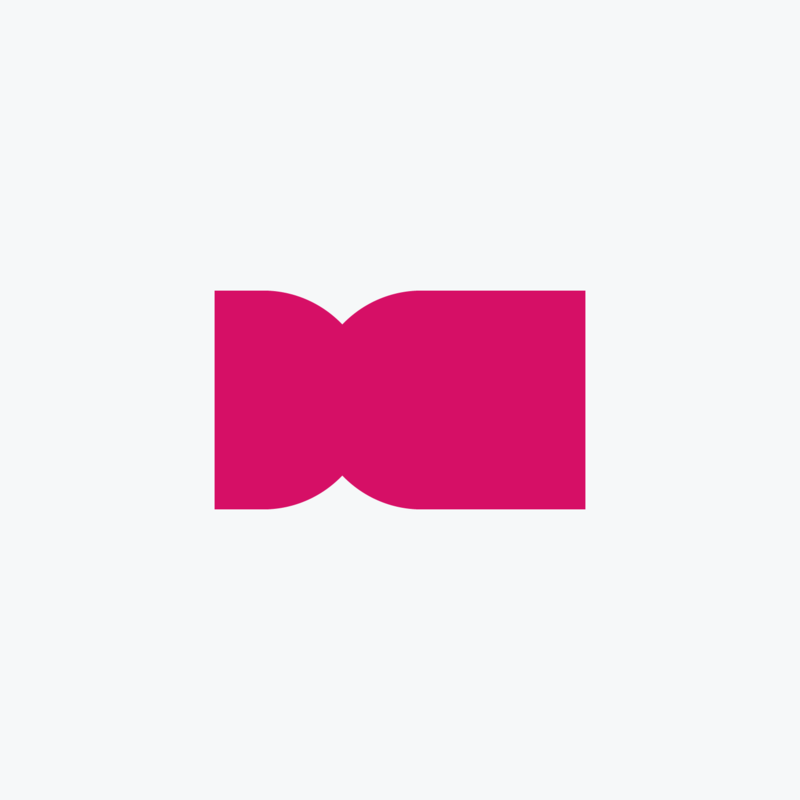 Make complexity approachable through subtle and intuitive language and visual identity. Avoid repetition and play with symmetry and asymmetry to provide a flexible, yet structured and consistent system. Along with the 23 pairs of chromosomes, another important aspect of our designs was the concept of what lies beneath the skin—the fascinating synthesis of chromosomes that come together to form a unique entity. To illustrate this concept, we played with the idea of exteriors and the underlying interior. We used vibrant colors and striking geometrical forms paired with minimal aesthetics and simple shapes for a bold, but approachable look. 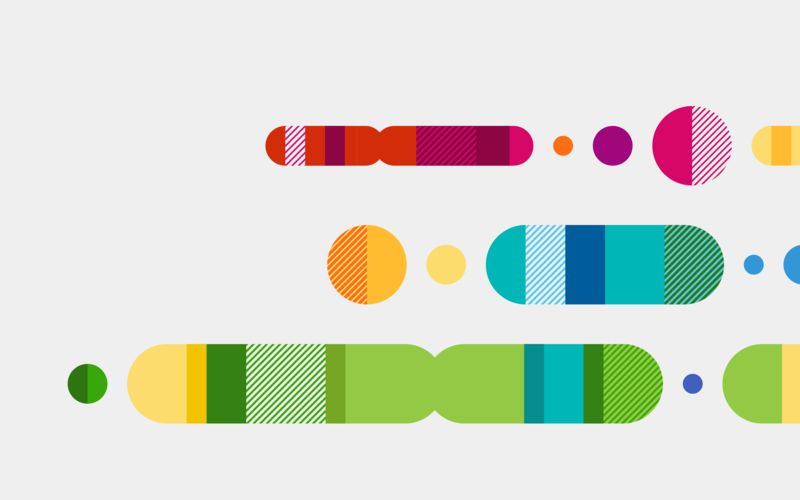 Three signature elements represent 23andMe’s graphic identity: the Dot, the Bean, and the Chromosome. 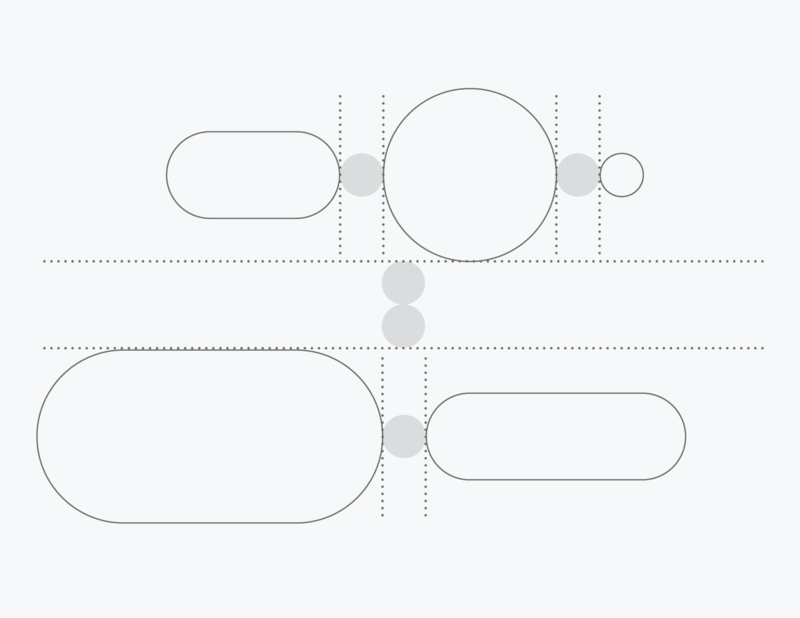 As approved as a patent, these elements highlight 23andMe’s visual language. 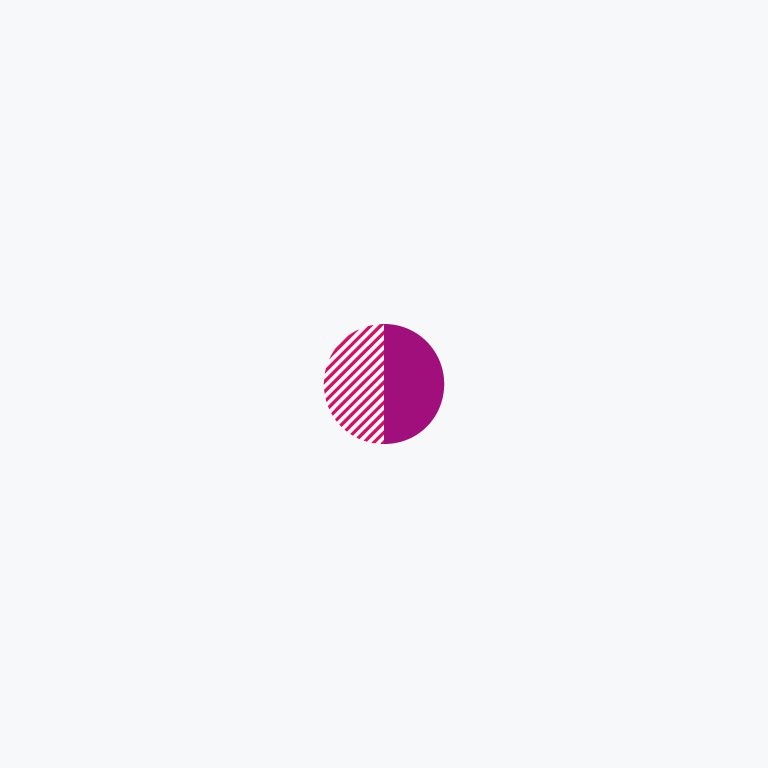 Dot — A simple point is used to tie the other elements together and bring rhythm to the system. 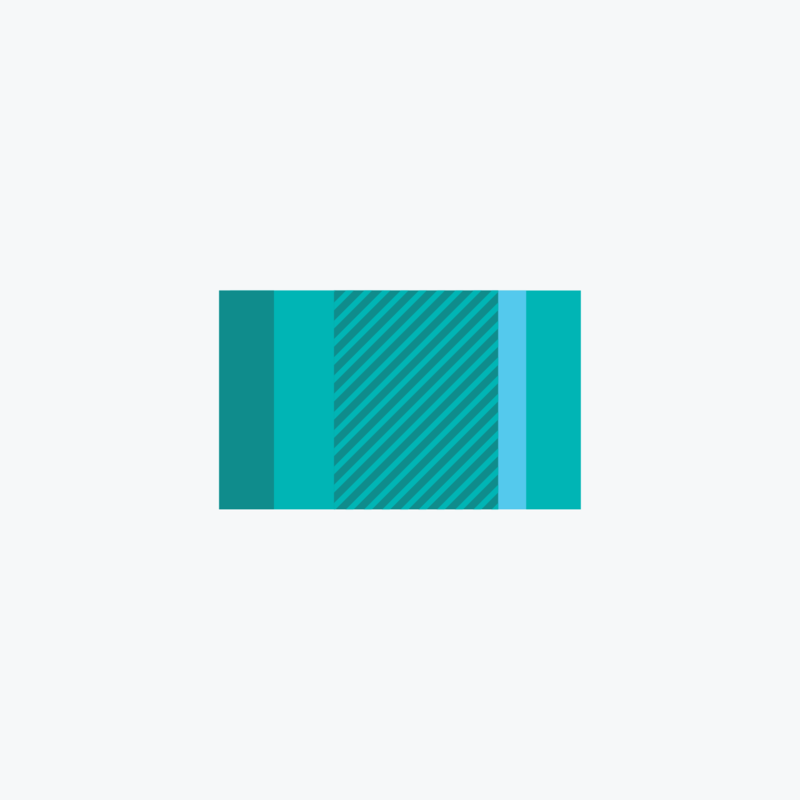 It represents an individual chromosome segment. Bean — A pill that represents a singular chromatid of a chromosome. It is never used alone, but always surrounded by Dots and Chromosomes. Chromosome — The abstraction of a chromosome is the largest and most recognizable of the three elements. 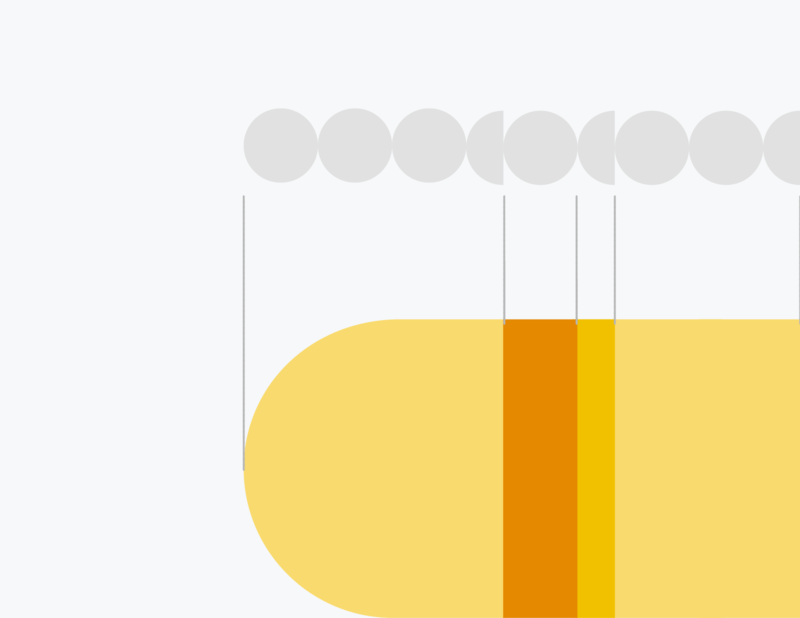 In the system it should be used sparingly, and always needs to be supported by either Dots, Beans or both. New visual elements like the Notch and a graphical striped texture with additional pattern detail act as intuitive anchors to help users visualize their genetic data and add to the authenticity of the brand. The Notch — Beans are intersected in a specific way to create a Chromosome. The joint area is called “the notch” which can be utilized as a recognizable visual element across the brand. The Texture — Specific textures within the elements help to create a unique feel. The textures can also be utilized in other applications of the brand such as icons and illustrations. 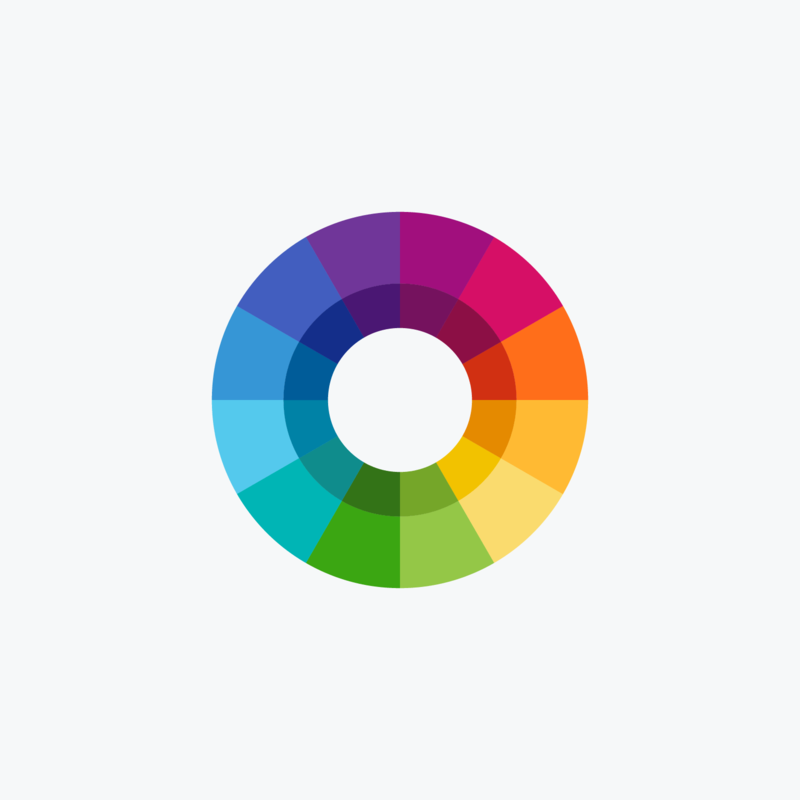 The Color Palette — We use an analogous color system that creates variety and controlled randomness, but is still unique, recognizable and ownable by 23andMe. To accommodate 23andMe’s widening customer base that was shifting towards the homes of average consumers, we talked to customers and assessed their needs. We incorporated our findings into our designs, creating a brand identity that is accessible, reliable, and easy to understand for all customers. 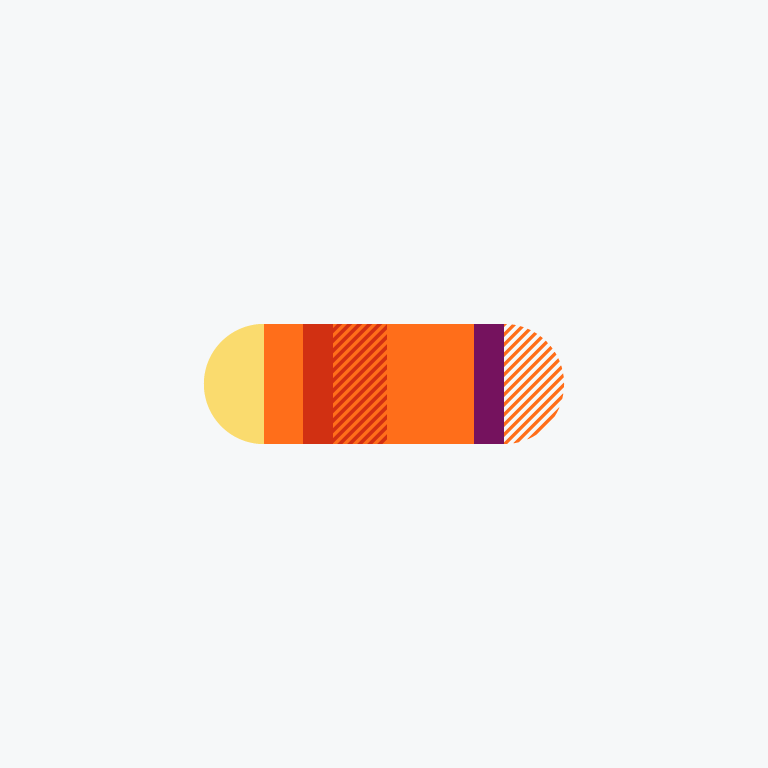 This accessibility was extended across a bunch of different platforms—from physical products like the 23andMe collection kit to the mobile website—to ensure a brand identity that was distinct, cohesive, and, above all, inclusive. 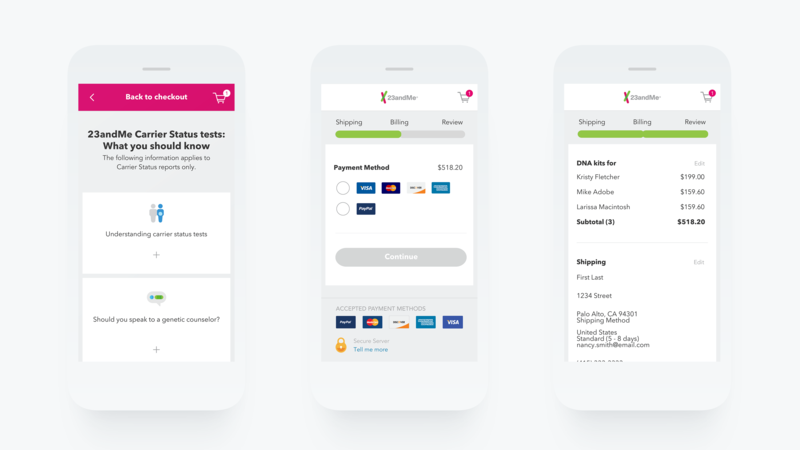 Within a year of our collaboration, 23andMe revitalized their connection with their customers through their re-branding, and passed an essential FDA review of their health products. Together, we created a holistic experience that married scientific design appeal with an approachable look and human feel, which has been met with astounding results. 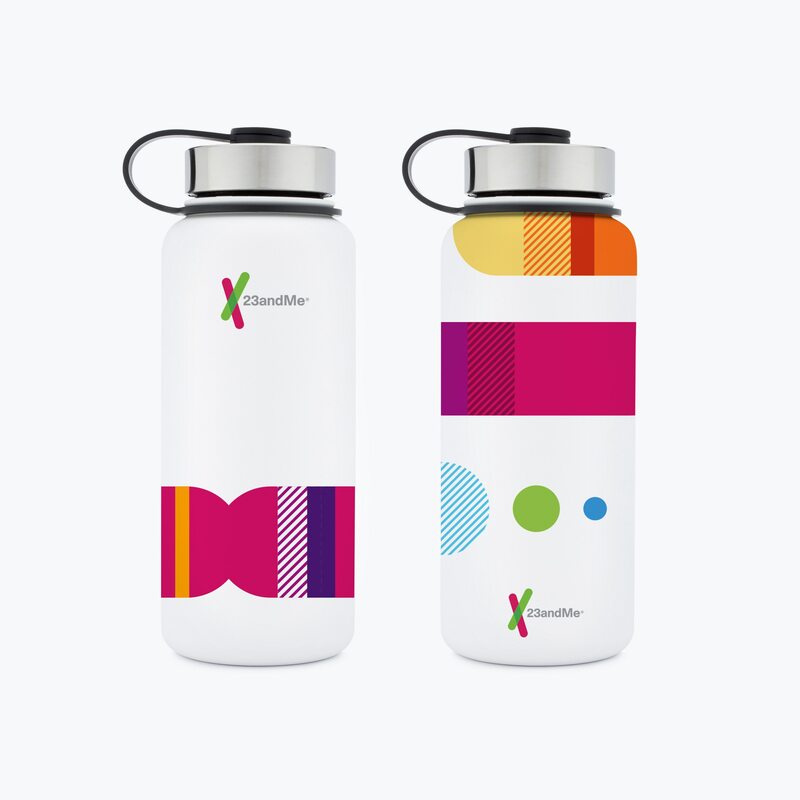 Collaborating with 23andMe was more than just helping a revolutionary healthcare company build a strong, recognizable identity. 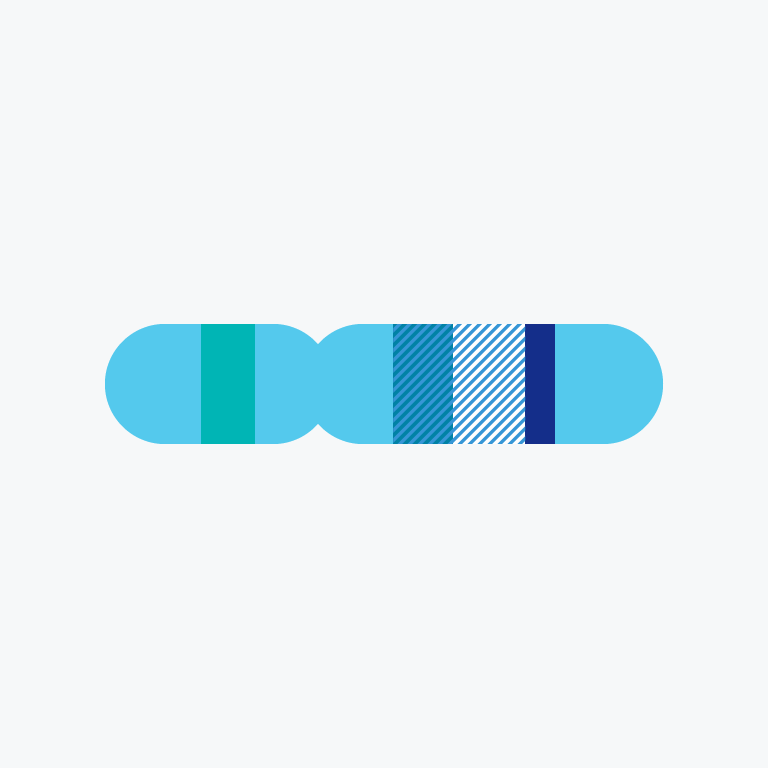 We are proud to have joined 23andMe in their mission of furthering the relationship between humans and their own DNA. With 23andMe’s refreshed design, people can better understand where they come from, and learn more about how they can take their genes into consideration when making decisions about their health.